Type 2 diabetes risk is higher in women with polycystic ovary syndrome (PCOS) related inflammation. A recent study found that 50 percent of women with PCOS develop pre-diabetes or type 2 diabetes before the age of 40. The researchers found that PCOS related inflammation could be the link between the two conditions. When we consume a meal our glucose levels increase, so it’s the body’s job to absorb the extra glucose using insulin. If insulin cannot be secreted, then it can lead to high glucose levels. In women with PCOS, rises in glucose after a meal stimulates inflammation, which does not normally occur in women without PCOS. This inflammation hinders the ability for insulin to become secreted, which leads to insulin resistance and is an early stage of type 2 diabetes. Furthermore, PCOS patients have poorly functioning β-cells – cells found in the pancreas that produce insulin. The researchers found that obese women with PCOS had greater first and second phase β-cell impairment. Additionally, lean and obese PCOS patients had greater inflammatory responses in comparison to lean women without PCOS. Like the new research, previous findings also support that women with PCOS have a higher risk of type 2 diabetes and obesity. The study looked at over 6,000 women between the ages of 25 and 28 over the course of nine years – 500 of them were diagnosed with PCOS. 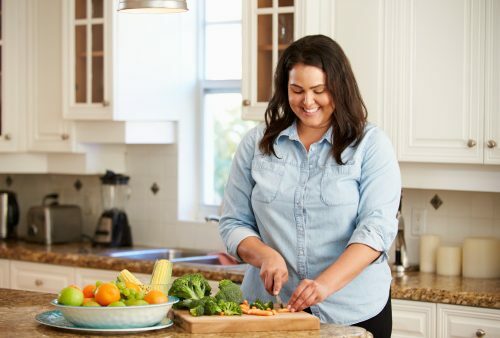 Incidences of type 2 diabetes were three to five times higher in women with PCOS, and even though obesity is a known factor for type 2 diabetes, it was not a significant trigger for women with PCOS. “Our research found that there is a clear link between PCOS and diabetes. However, PCOS is not a well-recognized diabetes risk factor and many young women with the condition don’t get regular diabetes screening even pre pregnancy, despite recommendations from the Australian PCOS evidence based guidelines. Currently diabetes screening guidelines recommend screening over 40 years of age. This may need to be reconsidered in women with PCOS. We clearly need more research in PCOS, with better screening, prevention and treatments,” she added. Weight gain is quite common in PCOS and losing weight can be quite difficult. PCOS is a hormonal disorder that causes women to have higher levels of male hormones and can lead to infertility. Furthermore, problems with hormones can affect insulin and thus lead to greater rates of insulin resistance. Insulin is an important hormone when it comes to weight loss and weight gain. Insulin’s primary role is to convert sugar into energy, but when this does not occur glucose can build-up in the bloodstream. An increase in glucose produces greater male hormones, which are responsible for hair growth, irregular periods and weight gain. Males typically carry their weight in the abdomen, so in women with PCOS, that is the same location where they gain weight – PCOS women often have more of an apple-shape rather than a pear shape. Abdominal fat can be dangerous and is associated with an increased risk of heart disease. There is no cure for PCOS, but proper management can help reduce future complications. Medications can be prescribed in order to reduce and manage. For example, birth control pills are often prescribed to help regulate menstruation, reduce male hormone levels and clear acne. In order to prevent and reduce the risk of type 2 diabetes in PCOS, it’s important to correct insulin resistance. There are some lifestyle factors that can help improve insulin resistance, such as losing weight, a healthy diet and exercise. Research has shown that a reduction in weight by five to 10 percent is enough to dramatically improve insulin sensitivity. Insulin-sensitizing medications, too, may be prescribed in order to improve insulin resistance. Speaking to your doctor can help put you on the right path to reducing your risk of type 2 diabetes while managing your PCOS. Losing weight is also important for women with PCOS, although it can be challenging. For starters, women with PCOS are recommended to stick with a low glycemic diet – these are foods that do not cause high spikes in blood sugar. Reducing saturated fat is also beneficial because it can contribute to heart disease. Along with diet comes exercise, which can aid in the success of losing weight. When you gain more muscle your body is able to burn off more fat, even when you’re not being physically active. Weight training is recommended for its ability to increase muscle and strengthen bones as well. If consuming carbohydrates, pair with protein or fat – don’t eat them alone. Do not completely remove carbohydrates as your body will enter ketosis. Space carbohydrates throughout the day – don’t consume them all at once. Avoid carbohydrates that trigger hunger – these tend to be refined carbs. If you’re having difficulty losing weight with PCOS, speak with your doctor; they may offer insight on successful ways to lose weight.